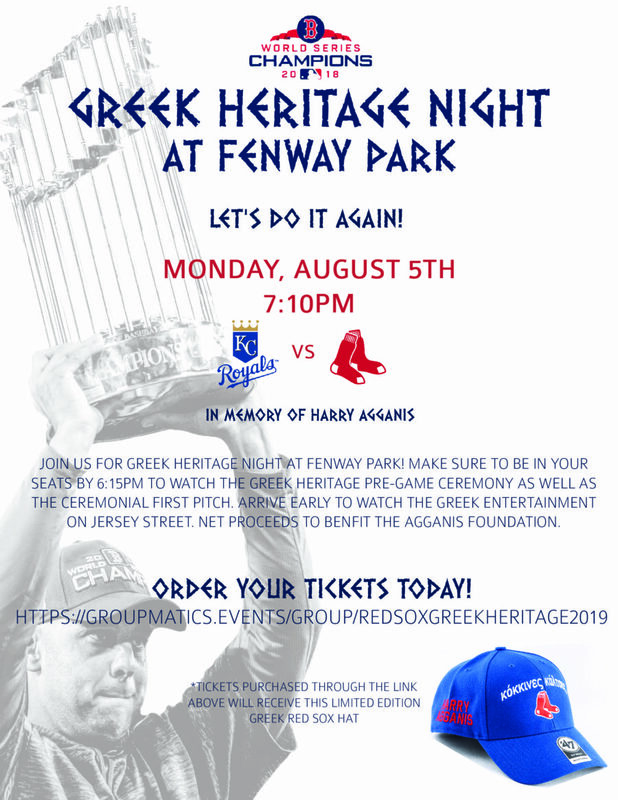 Join us on Monday, August 5th for our annual Red Sox Greek Heritage Night at Fenway Park. 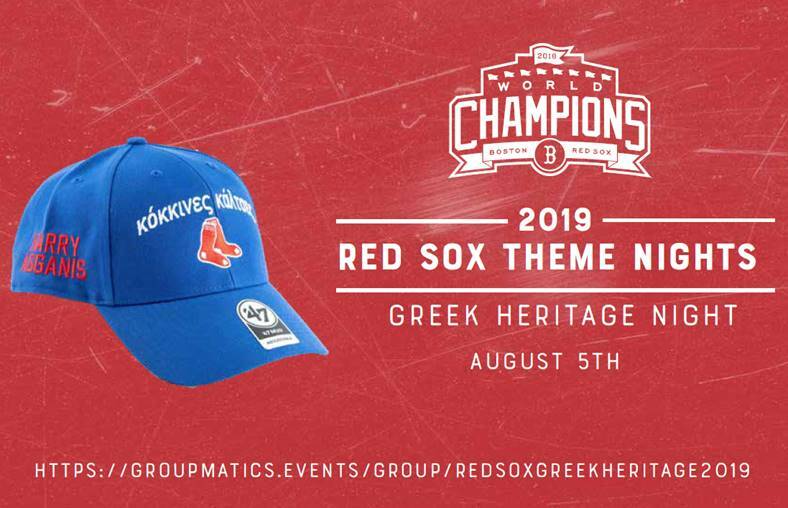 Anyone who purchase tickets for this special promotion through the links below will receive a limited edition Red Sox baseball cap with ‘Red Sox’ in Greek on the front and our 2018 Championship Flag on the back! Be sure to arrive early to see the Greek Dancing on Jersey Street, as well as a pre-game Ceremony honoring members of the Greek Community before the Ceremonial First Pitch.